History Off The Page came onboard with us back in early 2016 with an old, tired looking website, that wasn’t mobile friendly and wasn’t the easiest to find information on. They wanted a website that represented their unique services, was easy to use and targeted schools and teachers. Tracking visitors and enquiries through their website was also essential, as they never had this on their previous website. We arranged a face to face consultation so they could show us exactly what they do, listen to what they wanted to achieve from their website and agree the key features and functionality to include on the new website. It gave us a better understanding of what message should be prominently featured on the homepage. Thanks in part to the website, the number of schools we are visiting has grown substantially in the last two years. We predict we will have about 1,400 bookings this year (up from about 1,200 before the website was redone.) And I did some research this summer – last year roughly 40% of the people who contacted us through the website converted to sales. We have been very happy with that percentage and the results! 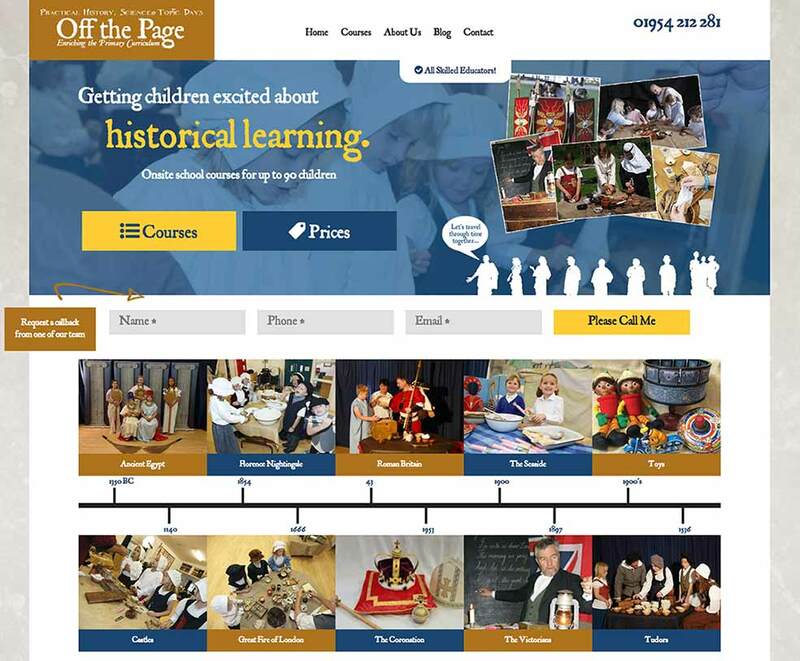 We worked closely with the team at History Off The Page to produce a website that best represented their business, had the right information for their target audience and also made information easy to find, from the moment you land on the website. Their previous website was not mobile friendly (responsive) so they were looking for a web company that could provide this as part of the build. As part of the standards at Success Local and inline with the best industry practices, all of our websites are built with mobile functionality. It was important that our customer could update the content and images of the website themselves. We were able to achieve this by building the site on the WordPress platform. To help the customer get used to the platform, we provided full training on how to use it. This is something that is available to all new customers. With their old website, History Off The Page were unable to track the users and conversions on the site. 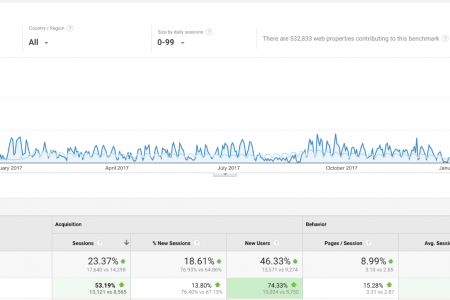 In order to provide visibility on the website’s performance we installed Google Analytics. Although there is no historical data, we can see that visits and enquiries on the website are improving month on month. The feedback we have received from the client is fantastic and we were really glad to hear that they’re considerably busier than before the website was built.